A young woman holds the hand of her 5 year-old brother during a visit to London zoo in the early 1960s. 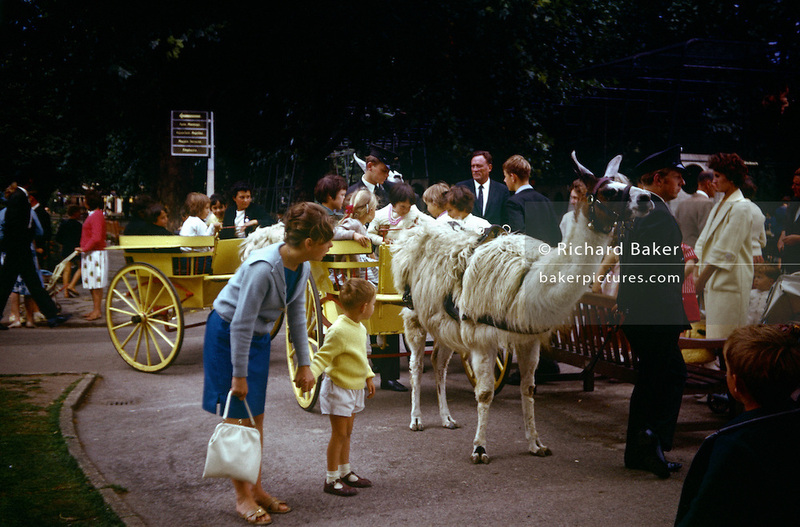 Looking closely at a tame llama that has been hitched up to a harness and about to pull children for a short ride around the enclosures of London's zoo in Regents Park. It was recorded on a film camera by the boy's father, an amateur photographer in 1964.The picture shows us a memory of nostalgia in an era from the last century.